Our store is the only women’s clothing store in Byron and it is right in the centre of the village.. We are opposite the Byron Free House restaurant and Orr Dry Cleaners. 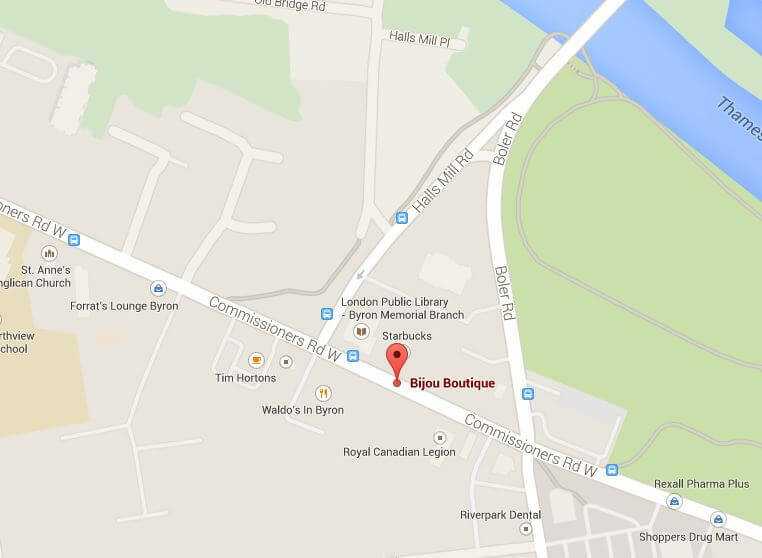 You will find us between the London Public Library – Byron Branch and the Golden Dragon Restaurant. We are in the sweet little grey stone house which was built in 1873. There is parking available on the main street right outside the store if you want to make a quick purchase. For longer stays there is plenty of parking at the rear of the store. To park here take a left turn off Boler Road just north of Commissioners, turning in behind the Byron Fire Station.